With rapid steps approaching this years season last meters, not only in Latvian, but also in the Baltic stages. 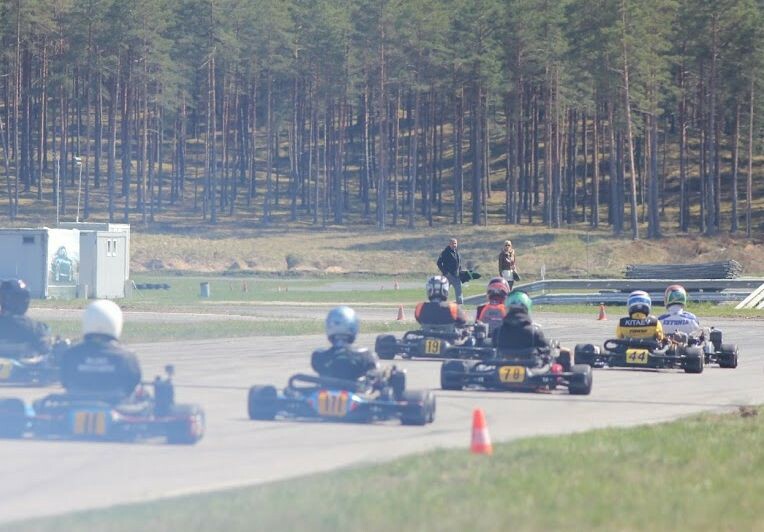 Last weekend - 17.09, ended KZ2 Baltic Championship in Estonia, Aravete track. The competition took place in three stages, each of the Baltic countries were removed one of them. The first took place right here in Latvia, on 21 May on SK333 Track, the second, 06.08., in Lithuania Aukstadvaris track, and the third last Saturday in Estonia. This year, Latvia Baltic KZ2 Championship was represented by five riders. Including - Raitis Mūrnieks, Eduards Daņiļevičs and Haralds Šlēgelmilhs, who took part in only one, in the first round, which took place in SK333 track. In turn, our fruitful among all Baltic riders this season – Mārtiņš Lapiņš and Ēriks Gasparovičs raced in all three phases and it also gave the deserved results. Gasparovičs standings table with 58 points ranks at position 8, whereas this season the best Latvian rider Mārtiņš Lapiņš with earned 111 points took 3rd place on the podium. First and second place on the podiuim was earned by Lithuanian drivers - Paulius Paskevicius un Rokas Baciuska. It should be noted that the KZ2Baltic Championship is special in that the top three winners not only stepping on the podium and receive the cup, but also earn cash prizes. Accordingly, the highest podium step receives 1000 EUR worth of cash prize, second place - 500 EUR, and 3rd place - 300 EUR. Congratulations to Mārtiņš of sheets with high achievement and are delighted that ours is able to honor fight with other Baltic kart racers! We remind you that on Saturday - 24.09., we will meet in Kandava - Baltic Rotax Max Challenge Cup in 6th round, Latvian Championship 5th event and Latvian Rotax Max Challenge Cup 5th event. You also want to add that taking into account the minor technical problems in connection with the application for the race on Saturday, it should be noted that the Latvian Championship will also include the final KZ2 class trips, because in this class we need to clarify Latvian Champion!